Used for transmission of signals in control systems. Strongly recommended for installation in security services that must work during a fire situation, such as detection and alarm, way guidance and fire fighting systems. 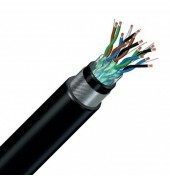 These cables provide, good electromagnetic protection from external influence, Fire Resistant according to IEC 60331, Flame Retardant according to IEC 60332-1, Fire Retardant according to IEC 60332-3 categories A and C, halogen-free, low acidity and corrosivity of the combustion gases and reduced darkness of fumes generated during combustion. 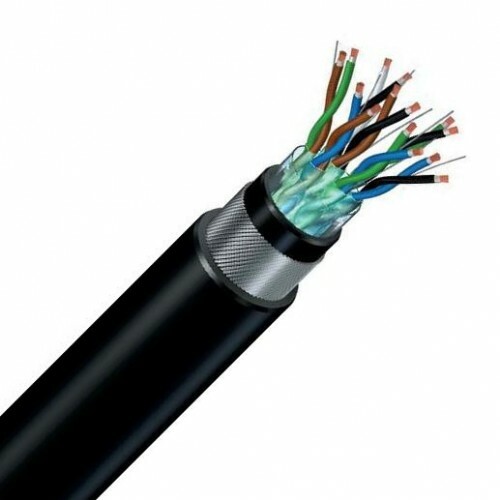 Excellent mechanical protection during laying, installation and service and with Flameproof, these cables are highly recommended in areas with high explosion or risk of fire. Extra pulling force where the armour can be used to pull the cable. These cables are able to work at very low temperatures (-45oC). It also comes with an option class 5 to provide extra flexibility. Copper class 1 or class 5 (-K) according to IEC 60228, Mica tape (-M), Polyethylene (E) insulation, collective Aluminium bonded to polyester tape with drain wire (O2), Halogen-free thermoplastic polyolefin (Z1) bedding, Galvanized steel wires (M) armour, Halogen-free thermoplastic polyolefin (Z1) sheath.